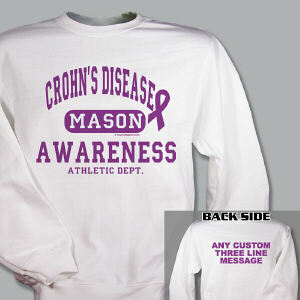 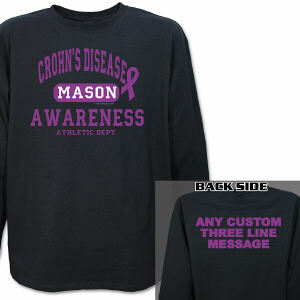 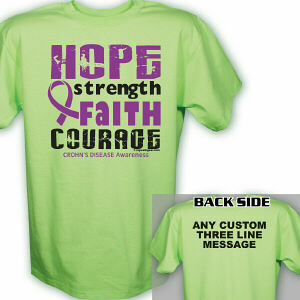 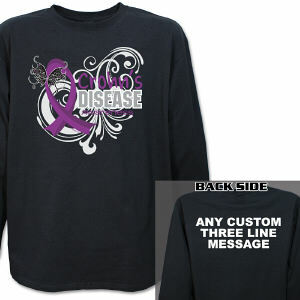 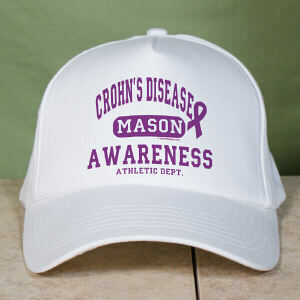 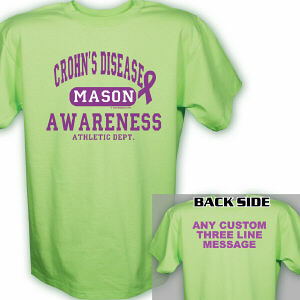 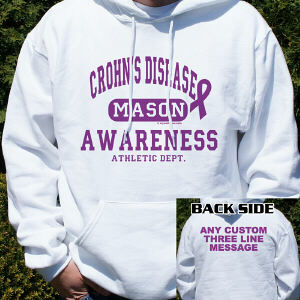 Make a huge impression with your walk team at your next Crohn’s Disease Awareness Event with our line of Crohn’s Disease Awareness Apparel & Walk Gear. 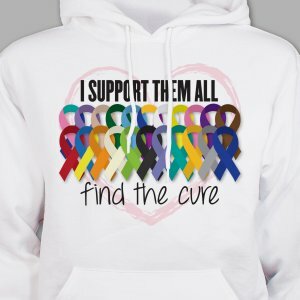 At MyWalkGear.com, we take pride in helping those who need us most. 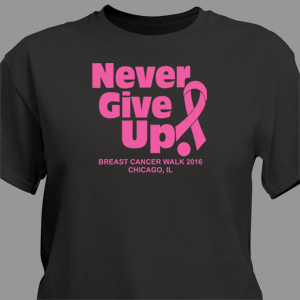 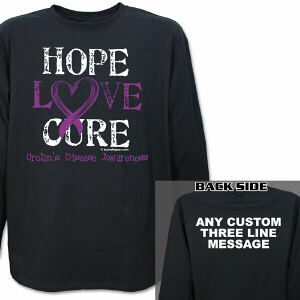 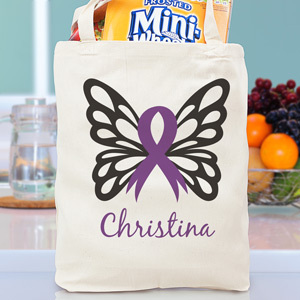 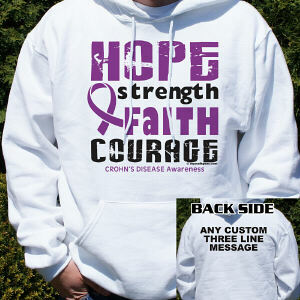 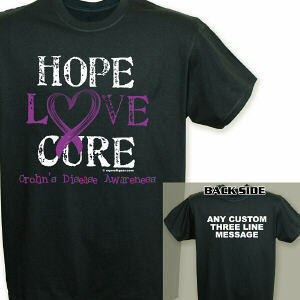 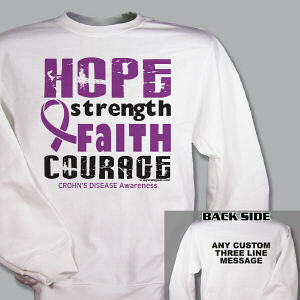 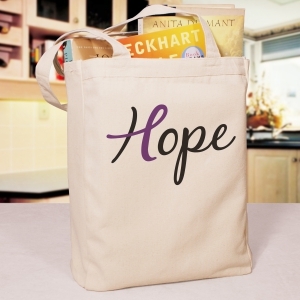 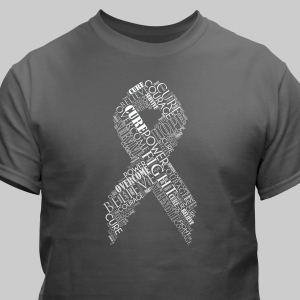 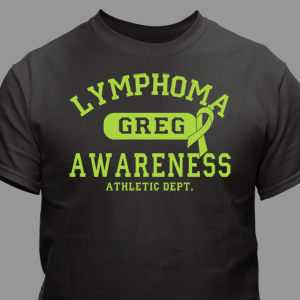 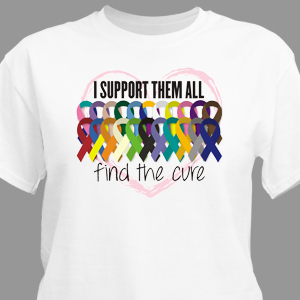 Whether you and your awareness team are walking an event or just showing your support for a loved one battling with Crohn’s Disease, we give you the opportunity to express your passion for finding a cure with artistic & eye catching designs. 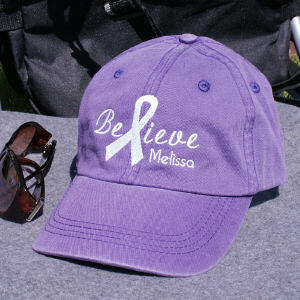 Promote the importance of becoming aware with your community and MyWalkGear.com to help those who need our support. 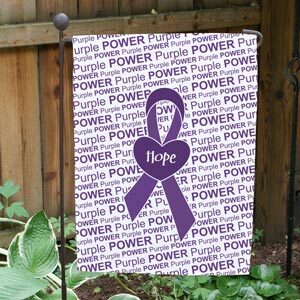 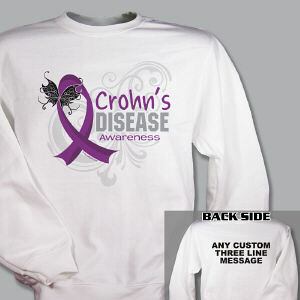 Crohn's Disease Awareness Month is April. 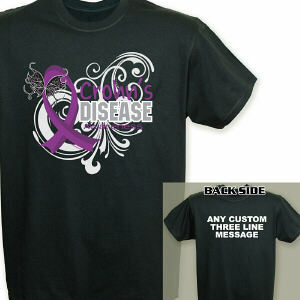 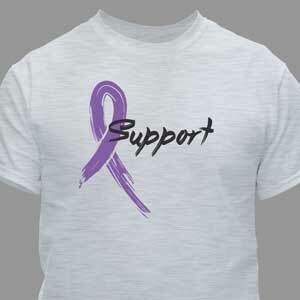 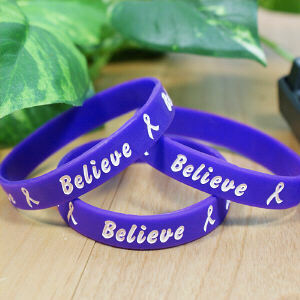 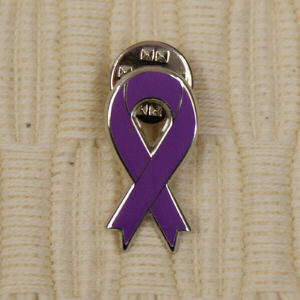 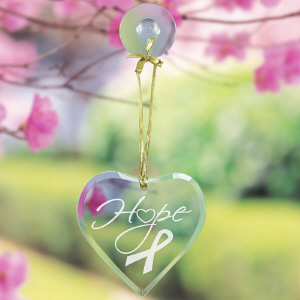 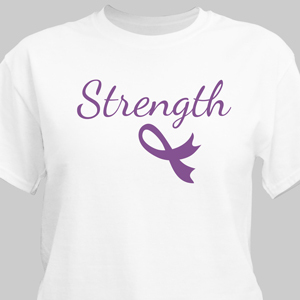 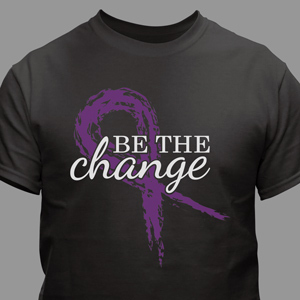 Join us by wearing gear featuring the Purple Ribbon that represents this disease. 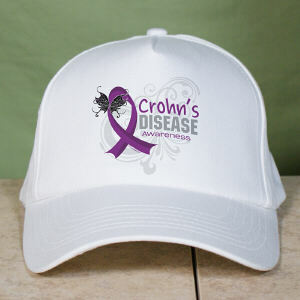 There are ways to take on Crohn’s Disease besides just coping with it. 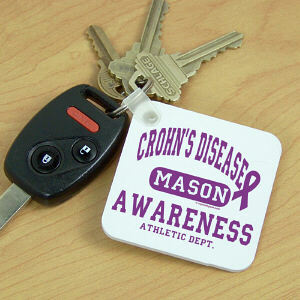 Knowledge is power, speak with your doctor to find out ways you can feel better while living with this disease.